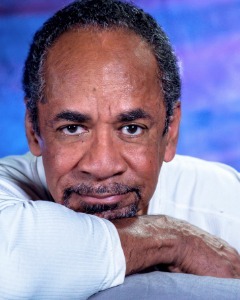 TIM REID, Emmy-nominated actor, director, and producer, has appeared on television for over three decades, from Venus Flytrap, on WKRP in Cincinnati through Simon & Simon, Frank’s Place, Sister,Sister, That 70’s Show, HBO’s Treme, and recently OWN’s Greenleaf and Love Is. 1995, he made his directorial debut with his critically acclaimed feature film, “Once Upon a Time…When We Were Colored.” Tim’s other film projects include New Millennium ‘s feature production, “Asunder,” starring Blair Underwood, Debbi Morgan and Michael Beach, and “For Real,” which Reid directed, produced and distributed through New Millennium Releasing. He also created and produced the critically acclaimed Showtime TV series “Linc’s,” and has received the “Oscar Micheaux Award” from the Producer’s Guild of America for outstanding lifetime achievement. Through his Tim Reid Productions, he has launched a new Media Center and Creative Incubator in the Manchester area of Richmond, VA.